I timed my trip back quite well this time round, Mother’s day! It was good to be able to celebrate something with both my mother and my mother in law. I left it quite late in terms of organising, work has been chaotic but thankfully when I called Istana on Thursday night, I was able to reserve a table. Unfortunately when I got to Istana they didn’t have our reservation. This annoyed me a bit, as they specifically took my name, and number and I even double checked to make sure that everything was ok, which they said ‘ok’. Thankfully, after about 5 – 10 mins, they seated us to our table. I would have been a little unimpressed if they couldn’t fit us in. One of their specialties is Hainan chicken with chicken rice. 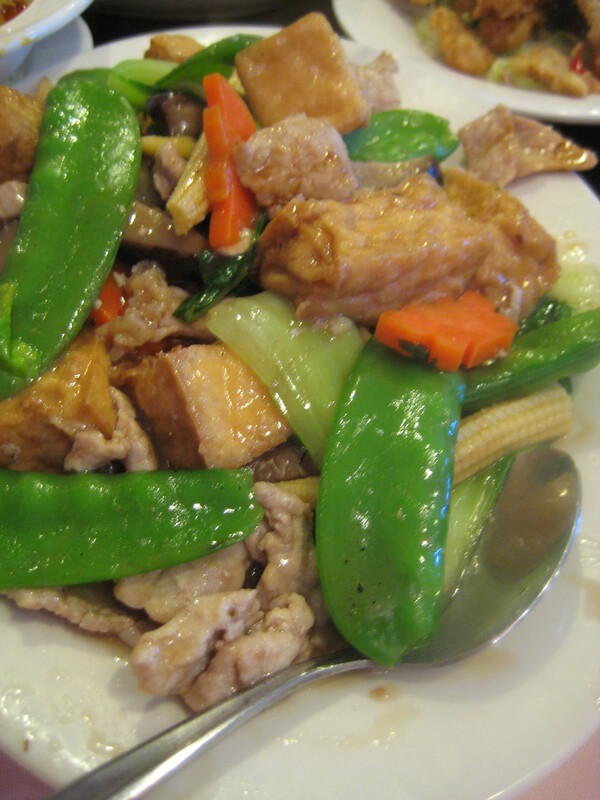 We got two serve of this Hainan chicken – there were 8 of us and we ALL loved Hainan chicken. The chicken was tender and succulent and it was indeed a great way to start the meal. All the diners enjoyed the Hainan chicken… how I miss a ‘good’ Hainan chicken. 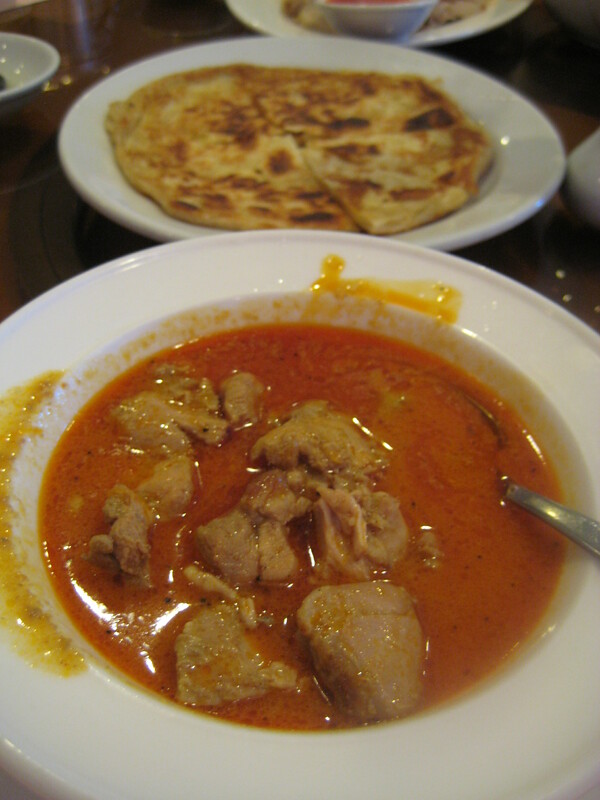 We ordered some roti canai and some curry. As you can see from the picture, the bowl in which the curry came was not clean. The chef was either in a hurry or the waiter did not carry the plate carefully enough. I have to admit though, mamak still has the best roti canai in Sydney. The chicken curry was full of flavour and delicious, the roti canai, so so.. it was a little thick I thought and not as fluffy as it should be. Regardless, it still wasn’t too bad. Seafood Char Kiew Tiau Siram, this was incredibly tasty. 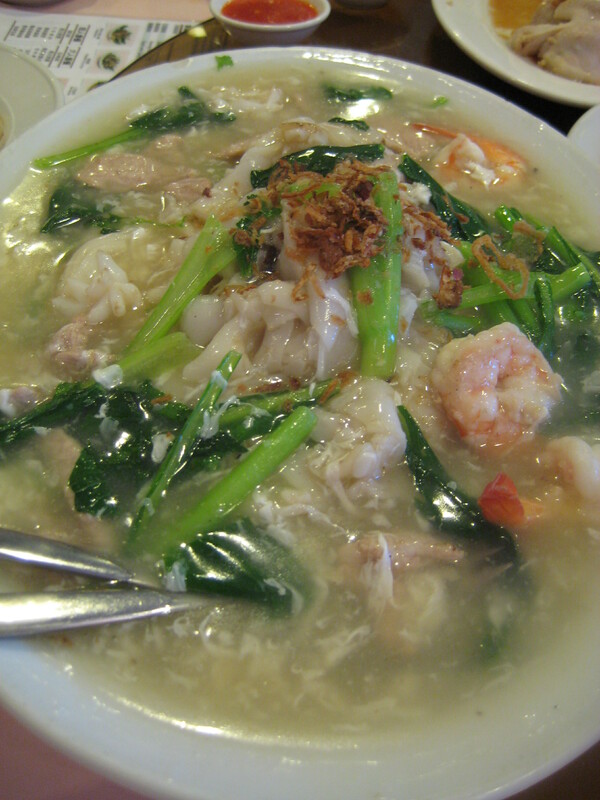 Rice noodles, cooked with seafood and vegetables drenched in sauce. 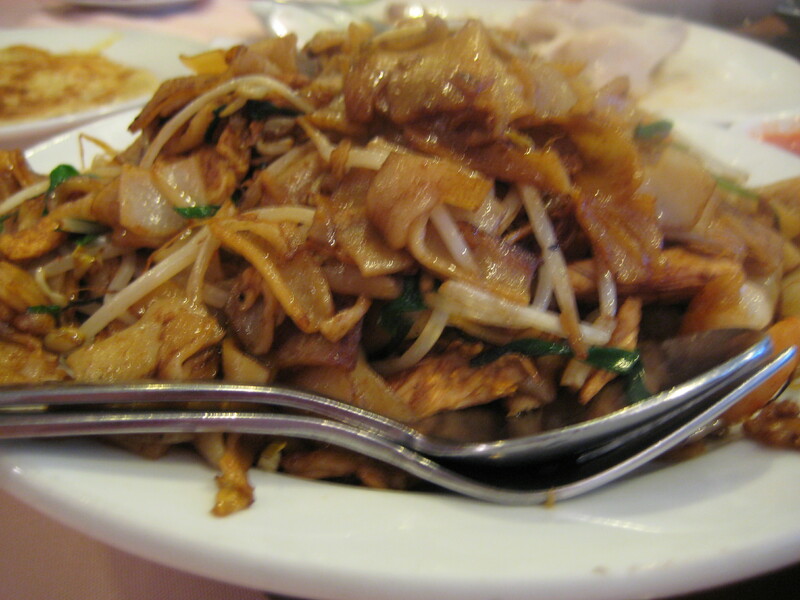 The rice noodles was extremely soft, and although a little oily, it was absolutely delicious. Fried char kiew tiau, fried rice noodles, this was also tasty. It was also a favourite amongst the diners. 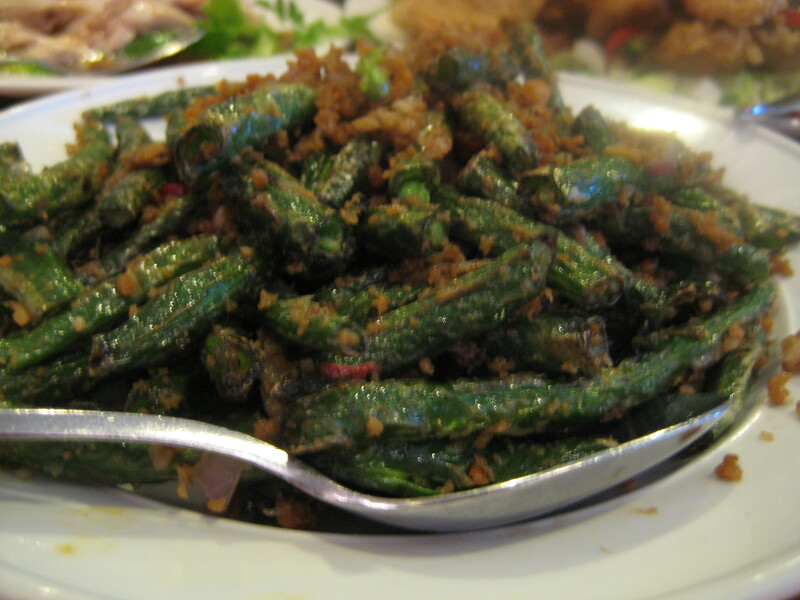 Kangkung belacan, a favourite Indonesian / Malaysian dish, otherwise known as water spinach stirfried with garlic, chili and shrimp paste. 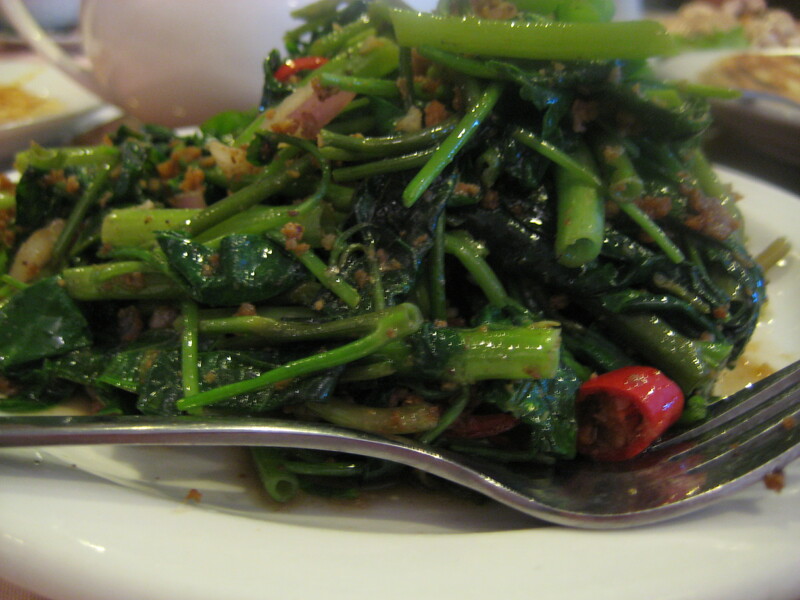 The water spinach was soft and cooked to perfection. I thought the price for this dish was a little pricey, considering how much you can get water spinach in the supermarket! However, it was still fantastic. Deep fried pork chop, crunchy on the outside and was incredibly tender. 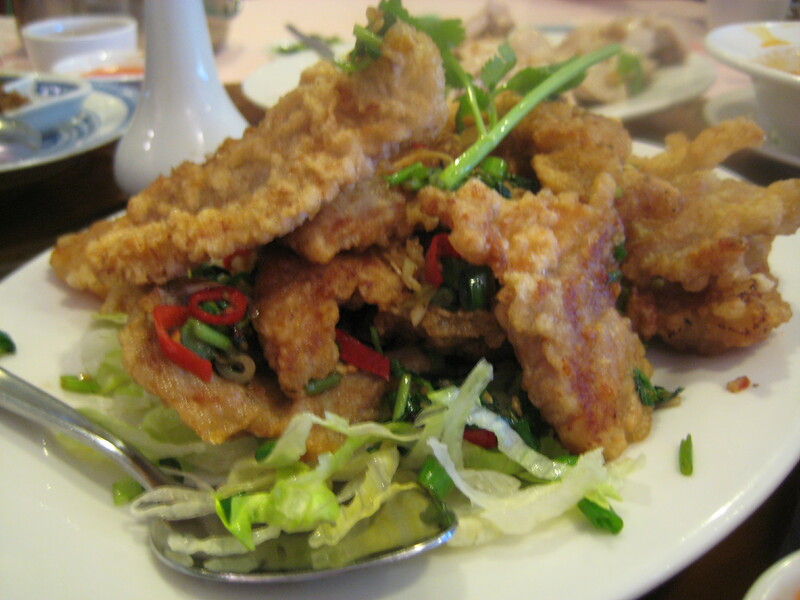 The pork was deep fried and cooked with garlic, shallots and chili. I was getting full by this stage, but this was seriously fantastic. By this stage I was seriously about to burst, but TWO more dishes…. Tofu stirfry with vegetables and chicken. I love tofu, but after eating tofu in Hong Kong, nothing compares to it. The tofu in Hong Kong is definitely much better, their silken tofu, is incredibly soft. This was good, but it just wasn’t the same. Lastly, beans with shrimp paste. I only had a little bit of this but it was as good as the kankung belacan. Did we finish all of it? No, of course not! We clearly ordered way too much, but we had a variety of food and each dish was indeed delicious. I was a little unimpressed that they didn’t have our booking, however, the food made up for it! To all the mothers in the world – hope you were all truly spoilt by your loved ones. I’m sure both my mother and mother in Law felt loved and were spoilt! 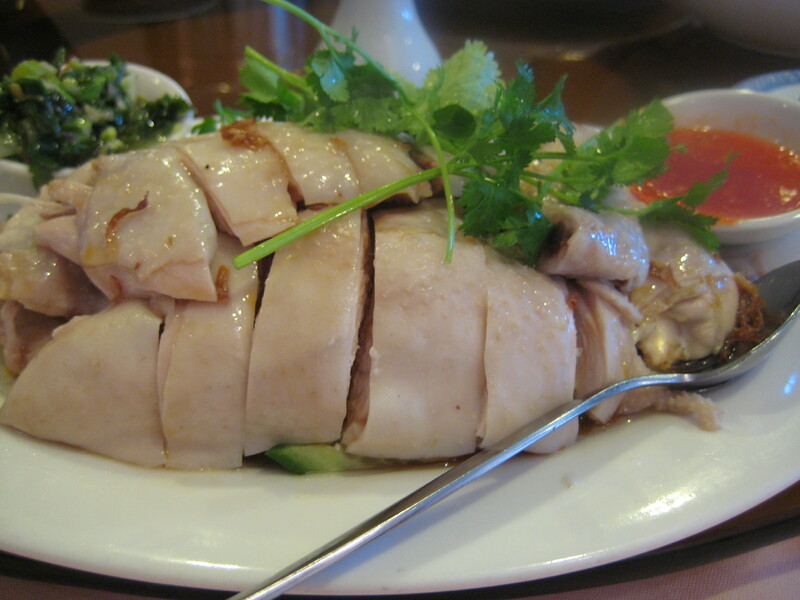 Hainan chicken is one of my favourites!